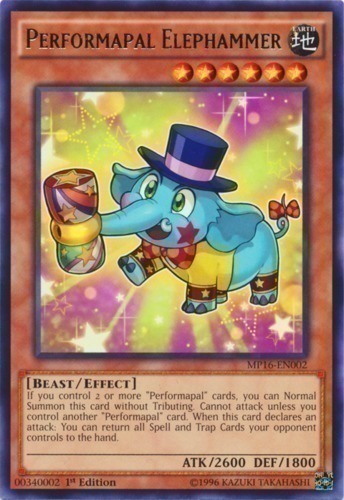 If you control 2 or more "Performapal" cards, you can Normal Summon this card without Tributing. Cannot attack unless you control another "Performapal" card. When this card declares an attack: You can return all Spell and Trap Cards your opponent controls to the hand.